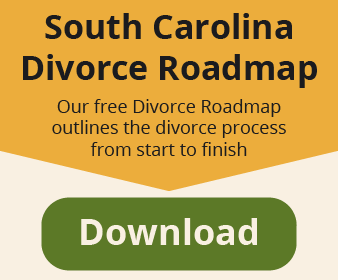 Choosing a divorce lawyer in Charleston, South Carolina is one of the most important decisions of your divorce. You’ll be counting on the lawyer you choose to get you what you want in your divorce. We recommend you talk to divorce lawyers until you find one worthy of an interview. If their lawyer normally, wants a paid consultation for divorce, ask for a free 15-minute interview. See what they say. In most cases, you can talk to our lawyer for free. We offer a free 30-minute consultation (843-474-4000) so you can get to know us without obligation. You should not have to pay for a consultation to meet a divorce lawyer in person for an interview. During the interview, be prepared to ask a lot of questions. Watch this video to see those questions. How was the first impression? You can frequently tell right away if a lawyer is not for you, in the first minute of being with them. Trust your instincts. How is the communication? Are you going to be able to easily communicate with your lawyer. Make this a top consideration in the interview process. It will be critical later on. What communication media do they like to use? Choices are: email, text, phone. Is that going to work for you? Do you feel like you’re being heard? Or is the lawyer ripping through a canned presentation? Is he or she asking you meaningful questions? Are they listening to what you want? Lawyers can easily slip into the assumption that everyone wants the same thing in their divorce. Most of the time they’re right. Not always, though. You want to make sure your lawyer understands your desires. Are you being educated? There is a lot you need to learn about your case, legal strategies, procedures, etc. that will come up over the course of your divorce. A good lawyer will educate you along the way. You don’t want to feel like you’re being kept in the dark. Did they ask what is most important to you? Your lawyer needs to know your priorities and needs. This will come up in negotiating the details of your divorce. If they’re not asking, how will they know? Do you feel comfortable with them? Let’s say every other answer to these questions comes back well. Is it going to work if you’re not comfortable? Are they technology savvy? Are you? Find a good mix here. How long will your case take? Not all of the timeline is up to the divorce lawyer. Your state’s laws will have something to say about how long it’s going to take. Focus on when your lawyer can move on the things you may need done right away. Is their primary focus family law? Or are they a jack of all trades lawyer? Do you want a general practitioner or a specialist? Are they going to be affordable? Nothing worse than finding a solution you can’t afford. A wide range of pricing is available. This is the time to talk $. Did get an estimate for your case? Sure, it’s really hard to pin down an exact amount. However, you should be able to get a range or some data points of what others spent in the past. Did you get a flat rate option? Divorce lawyers either charge by the hour or on a flat or fixed rate for services. This can be a way to plan your expenses and also save money. How are they on the phone? Do they call back right away? Do you get to speak with the lawyer? Does their location work for you? If you are able to use a computer to shuffle documents around or make phone and video calls, the location may not be a big factor as you won’t need to go into their office as much. Do they work regularly in your county courthouse? It helps to know the local judges and quirks of your county. What do others say? Do they have references? Reviews? Was your consultation a sales pitch in disguise? Was their ‘free’ consultation just a chance for them to tell you why they think you should hire them? Do they want you to decide right away? Did you meet the support staff? You will be working closely with them too.